Cybersecurity is becoming vital in today’s world. With all the data breaches popping up every day, you need to ensure your customer’s data is safe and secure. 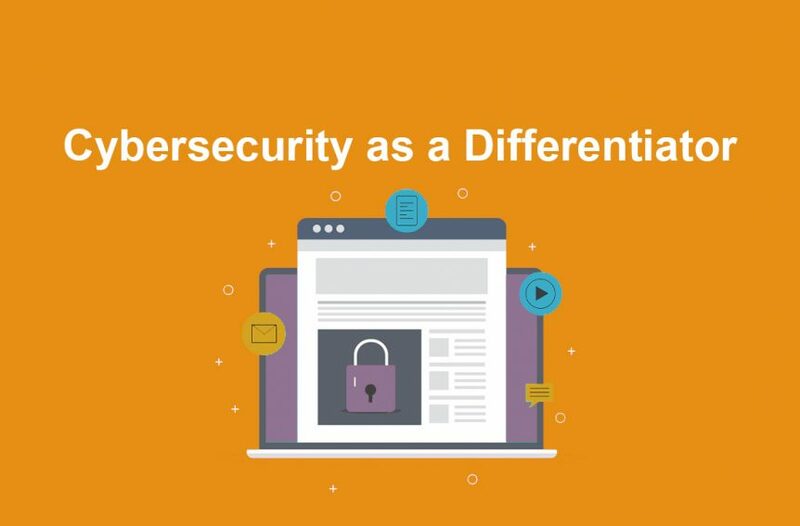 You can also use cybersecurity as a differentiator in your business. Here’s how. Make it a Company Value – if you make security a priority for all your employees your customers will know that you take cybersecurity seriously. The safer they feel their data is in your hands, the more they will trust you and recommend you to their friends. Get Those Certs – if your industry has standards for security, go after those certifications to prove that your company adheres to the top levels of protection. Industry standards can include HIPAA, PCI, FDIC, and more. Gaining these certifications prove to your customers that you are aware of the standards and actively work to maintain that level. Bottom line – you take their privacy seriously. Train Your Staff – it takes more than just making security a priority to keep data safe. You need to train your employees to know what to expect. Getting a program that simulates attacks for your employees will help them be ready when a real one takes place. Talk About It – put it on your website, signature block, or in advertisements. If you’re compliant, let the world know. You never want to tell people that their information is one hundred percent protected because that is an unreasonable claim, but you can tell people exactly how you are protecting their data and that you take security seriously. With cybersecurity constantly in the news, people are aware that privacy is a concern. Take the lead in this discussion and let your customers know you hear their concerns and taking active steps to protect their data. If you need help, call us (970) 243-3311! We have the tools to test your system, beef up your network, and train your staff.